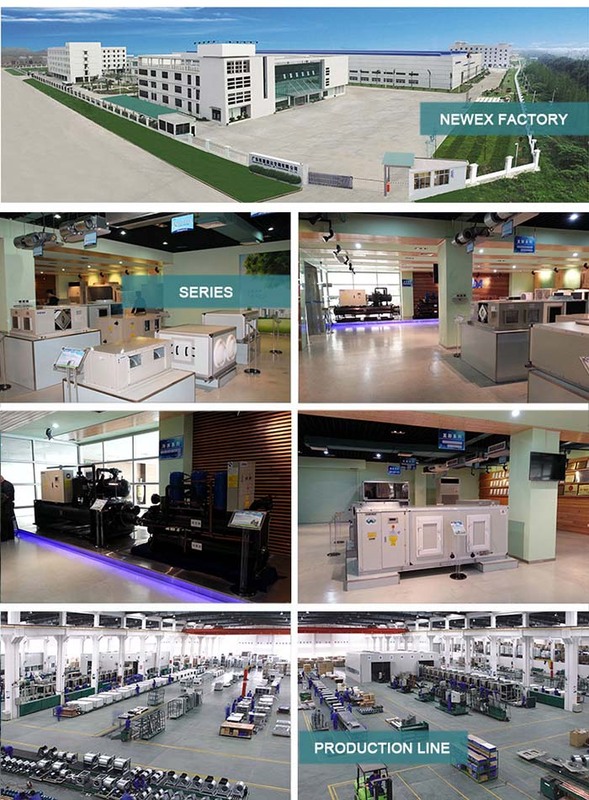 There are various types of compressors used in the refrigeration and air conditioning machines, these are: reciprocating, rotary, screw, centrifugal and scroll. 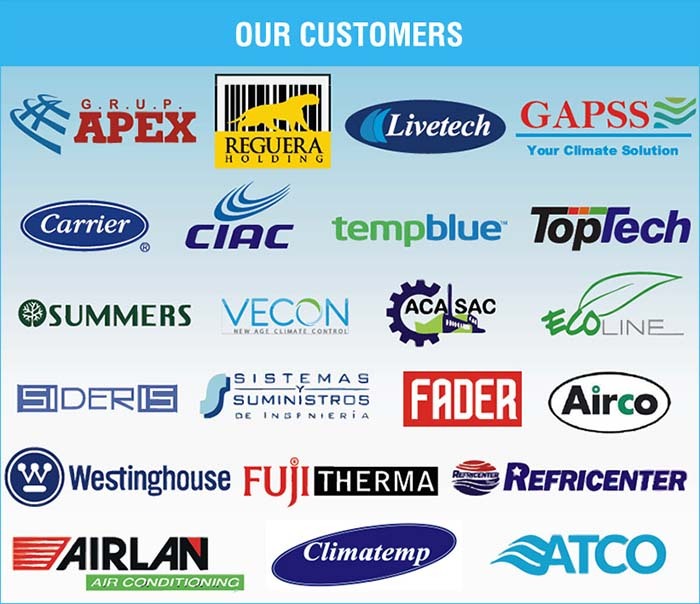 Refrigeration compressors and air conditioning compressors provide air conditioning, heat pumping, and refrigeration for large-scale facilities and equipment. 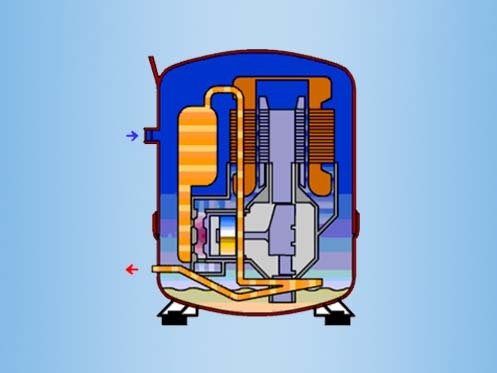 They use compression to raise the temperature of a low-pressure gas, and also remove vapor from the evaporator. 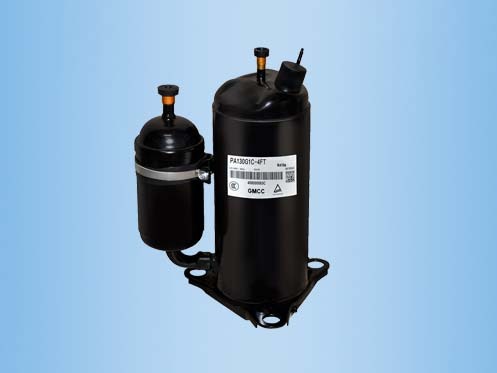 Most refrigeration compressors (refrigerant compressors) are large, mechanical units that form the heart of industrial cooling, heating, ventilation, and air conditioning (HVAC) systems. 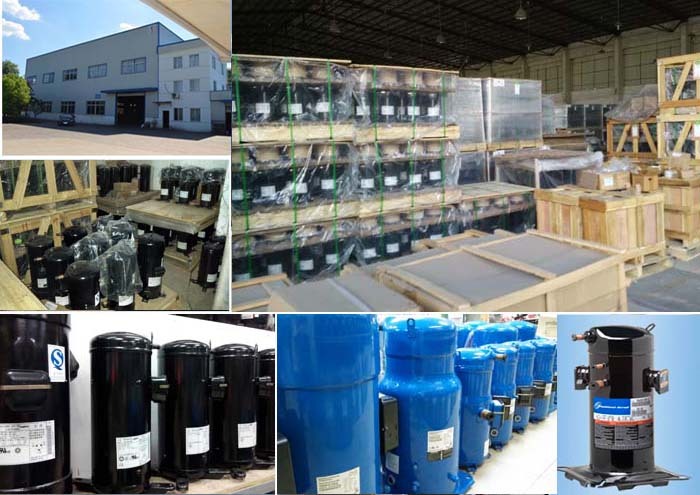 Many air conditioning compressors are also large-scale mechanical devices; however, these compressors are designed specifically for air conditioning systems and do not provide heating or ventilation functions. 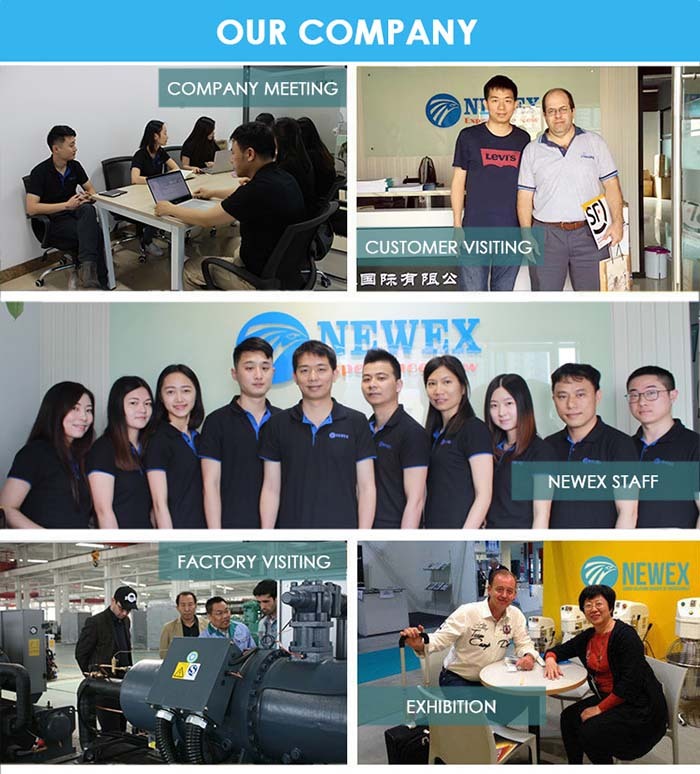 A scroll compressor operating in reverse is known as a scroll expander, and can be used to generate mechanical work from the expansion of a fluid, compressed air or gas. 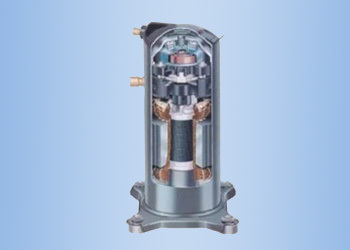 Many residential central heat pump and air conditioning systems and a few automotive air conditioning systems employ a scroll compressor instead of the more traditional rotary, reciprocating, and wobble-plate compressors. Although the idea of a scroll compressor is not new, scroll compressors themselves are a relatively new technology. 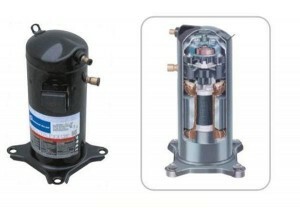 The first scroll compressor patent dates back to 1905. Léon Creux, a French engineer, developed the first scroll compressor design that was literally ahead of its time. Not until the early 1970s had precision machining technology advanced sufficiently to make a working prototype possible. 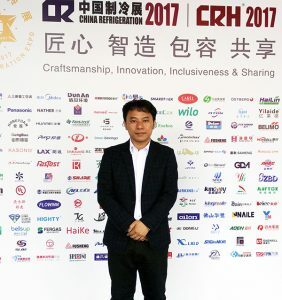 Development continued, primarily in Japan and the United States, and widespread introduction to HVAC and refrigeration applications began in the mid-1980s. 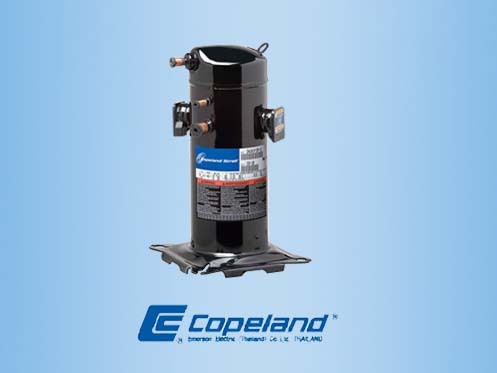 Today, scroll compressors are found in many commercial and residential applications. A scroll compressor uses two interleaving scrolls to pump, compress or pressurize fluids such as liquids and gases. The vane geometry may be involute, Archimedean spiral, or hybrid curves. Often, one of the scrolls is fixed, while the other orbits eccentrically without rotating, thereby trapping and pumping or compressing pockets of fluid between the scrolls. Another method for producing the compression motion is co-rotating the scrolls, in synchronous motion, but with offset centers of rotation. 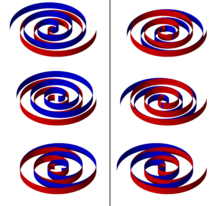 The relative motion is the same as if one were orbiting. Another variation is with flexible (layflat) tubing where the archimedean spiral acts as a peristaltic pump, which operates on much the same principle as a toothpaste tube. They have casings filled with lubricant to prevent abrasion of the exterior of the pump tube and to aid in the dissipation of heat, and use reinforced tubes, often called 'hoses'. This class of pump is often called a 'hose pumper'. Since there are no moving parts in contact with the fluid, peristaltic pumps are inexpensive to manufacture. Their lack of valves, seals and glands makes them comparatively inexpensive to maintain, and the hose or tube is a low-cost maintenance item compared to other pump types.